Delio, founder of the popular blog Yummy Mummy Kitchen, demonstrates that it is possible for women to put deceptively simple and delicious dishes on the table for their families, while holding on to their own style and grace, even in the most unglamorous of times. This gorgeous cookbook, with gorgeous color photographs, recipes for every meal of the day, and lifestyle tips, proves that meal preparation can be easy and stress-free. 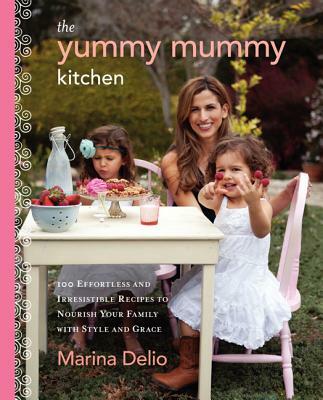 Marina Delio is a food stylist, photographer, and founder of the popular blog YummyMummyKitchen.com. She and her recipes have been featured in Cooking Light magazine, on Saveur.com and Glamour.com, and on The Martha Stewart Show. She also writes for Food & Home magazine. Marina, her husband, two daughters, and egg-laying chickens live in Santa Barbara, California.